This article was originally published in the Dec/Jan issue of the Shout NZ. 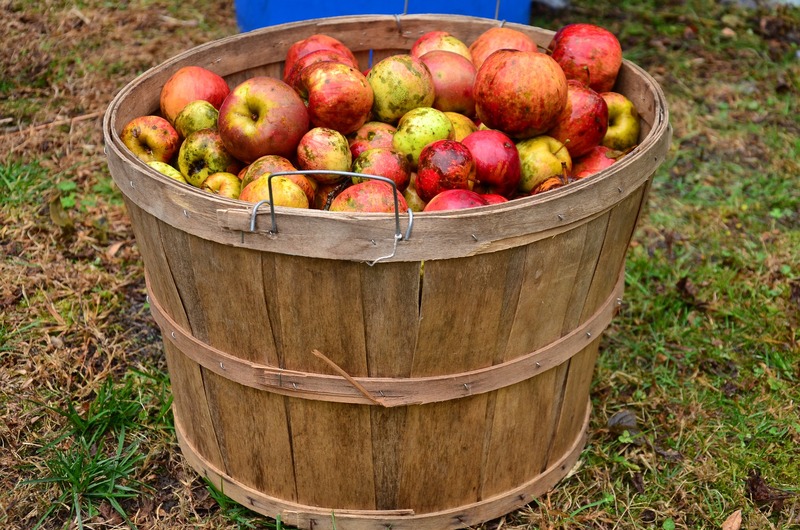 While cider may technically have more in common with wine, it’s a beverage that has always been, somewhat inexplicably, linked to beer when it comes to competitions, ordinances, and even serving traditions. Fruity, affordable, and always easy to drink, cider is the perfect option for those with gluten sensitivities, hop allergies, or just looking for a quaffable pint of something more sessionable than wine and less bitter than beer. It shouldn’t need saying, but cider is an alcoholic beverage that is made by fermenting apple juice. While cider-making likely dates back thousands of years, the earliest record of fermenting apples into alcohol dates back to 55 BC, when the Romans invaded England and found that cider was already being enjoyed by the locals. Fast forward a few thousand years and cider remains a popular alternative to beer and wine. Typically ranging between 1.2% – 8.5% ABV (though sometimes stronger), cider is particularly popular in the U.K., as well the many commonwealth countries such as Canada, Australia, and of course New Zealand. For a beverage that is typically made with just two primary ingredients (apples and yeast), cider can be surprisingly varied. It can be pale, amber, cloudy, or clear, still, sparkling, sweet, dry, and/or flavoured with fruits, vegetables, spices, and even hops. The vast majority of cider sold in New Zealand is a style known as “New World” cider. This means that rather than using traditional cider apple varieties (which are rare in New Zealand) New World ciders are, for the most part, made with common eating apples. They tend to be sweet, carbonated, and lacking the complexity of more traditional English and French ciders. However, with more cider being sold in New Zealand than ever before, we are seeing a growing number of boutique cideries that are embracing traditional production methods and either seeking out, or planting, new orchards of traditional cider-apple varieties. How Far Has Cider Come? Not long ago, there were only a handful of cider makers in New Zealand. Hamish Jackson, (General Manager of Harvest Cidery) pointed out that, “Eleven years ago, I think Harvest Cidery had over 80% of the market, but we were making less than a million litres.” However, a rise in the popularity of cider and an influx of new products on the market has driven the production volume up to approximately eighteen million litres, an all-time high for New Zealand. As many of those younger drinkers are maturing and becoming swept up by the craft beer movement, the market has seen a growing interest in traditional, and sometimes more exotic ciders, which are often less sweet. “People are finding that cider doesn’t have to be a sweet berry-flavoured drink and it can have a lot of complexity and interesting flavours depending on the yeast and the apples used,” explained Nigel Knowles from “Crooked Cider”. The trends to watch for in New Zealand’s cider industry can be expected to mirror those of the craft beer industry. Small batches of cider made with traditional apple varieties are in demand, drier English and French style ciders are on the rise, and you can expect to find more and more cider packaged in cans in the months and years ahead. There is also a growing interest in premium, more alcoholic ciders, iced ciders, and apple wines. And, while fruit ciders are certainly not falling out of fashion, the fruits used seem to be increasingly varied and exotic. Whereas, berry-flavoured ciders seemed to dominate the shelves just a few years ago, we are now seeing ciders infused with the likes of passion fruit, pineapple, watermelon, coconut, chocolate, and even cucumber. Above all else, it would seem that New Zealand’s cider consumers are maturing. Much like we have seen in the craft-beer market, consumers are increasingly interested in the story behind what they drink. However, while the word “craft” tends to refer to batch size and connote flavour in the beer industry, in cider “craft” translates more closely to being “rooted in tradition” (process, variety, and credentials). If New Zealand is to truly become a world class cider producer, the transformation to watch will certainly take place in the orchard.